This is my original recipe, a fun way to put cauliflower, a power-packed cruciferous veggie, into family meal planning. See how easy it is to entice even the most veggie-phobic eater, by assembling this meat-free main course dish that's eye-appealing, economical, and loaded with good taste and goodness. 1. Shop for cauliflower at your local farmers' market or green grocer. If you're a home gardener, pick cauliflower out of your home garden. Select as large a head as possible. To assure you're getting the freshest organic cauliflower available, look for a head that is creamy white, with densely packed blemish free florets. 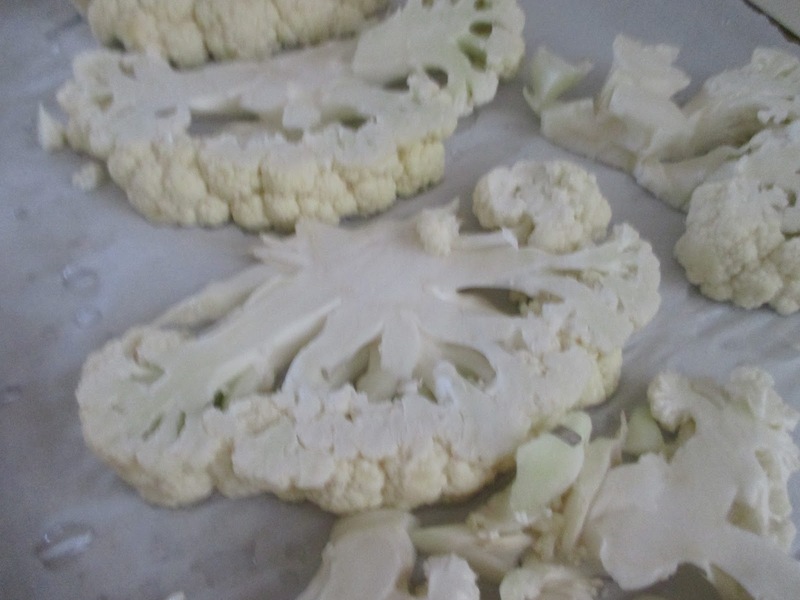 Examine the leaves closely, and if they are green instead of white, you'll get a cauliflower that is top notch. 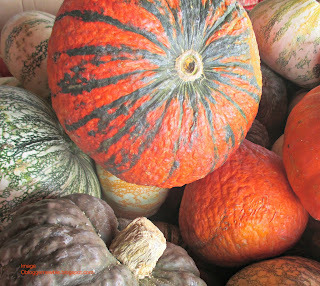 This means it will be loaded with nutrients, and tastes sweet instead of strong, as older ones tend to do. 2.Preheat oven to 400 degrees Fahrenheit. Cut leaves off the head of cauliflower , but keep the center core intact. Place cauliflower on a cutting board, stem side down. Slice the head in half (top to bottom), straight down the middle. On either side, make slices that are 1/2 in. thick and place them on a cookie sheet that is covered with parchment paper. 3. Cut as many steaks as possible. You'll know when to stop when the cauliflower pieces start to crumble. Coat each steak with a mixture made from the remaining ingredients. Place slices of tomato on top of steaks and cook all together. Use loose pieces in your salad or bake them alongside the cauliflower steaks (coat loose florets with Dijon lemon mixture as well). 4. The crumbled pieces will take less time to bake than the steaks. 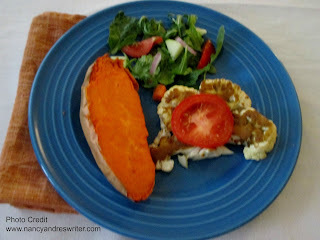 Taste test everything (what fun!). 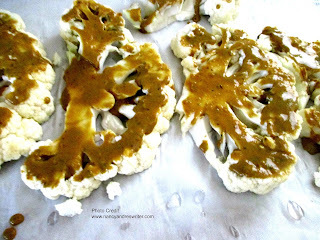 When each piece is slightly browned and the cauliflower is cooked to your liking, turn off the oven. We enjoy crispy, crunchy cauliflower steaks at our house, so I cook them for 5-10 minutes on each side. If you like your cauliflower well done, cook the dish for a longer amount of time. Loose pieces take about 10 minutes total to cook. 5. Serving ideas are plentiful. Combine with whole grains, green or orange veggies, or a combination of those you like. For a super plant-based meal, one that's packed with deliciousness, make Roasted Vegan Dijon/Lemon Cauliflower Steaks Supreme. It will fill your belly and warm your heart. Have you made any Cauliflower Steak recipes? How did they turn out? Did you know cauliflower was so nutritious? Are you willing to try out this recipe and see how it's received at your house? Please let me know what you think of my recipe. If you can, link to this post on social media to share the love. Before I go, I'd like to tell you something personal about myself you may not know. I have been successful in breaking free from a cycle of negativity I saw modeled early on in life. 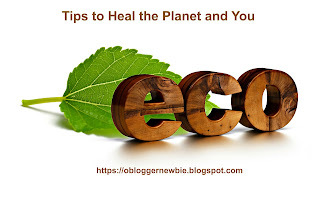 In fact, I wrote and published a book to help others overcome the challenging task of letting go of deeply held beliefs and opinions about themselves and learn (practice) life skills that promote happier, healthier lives. 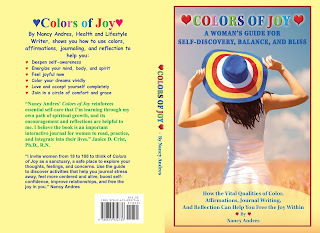 Colors of Joy: A Woman’s Guide for Self-Discovery, Balance, and Bliss is a 12 week journal program that uses colors, affirmations, journal writing, and reflection to support and encourage us as we learn to love and approve of ourselves and others wholeheartedly. Pick up a copy for you and a friend. It makes an attractive gift for your BF and a special treat for you. 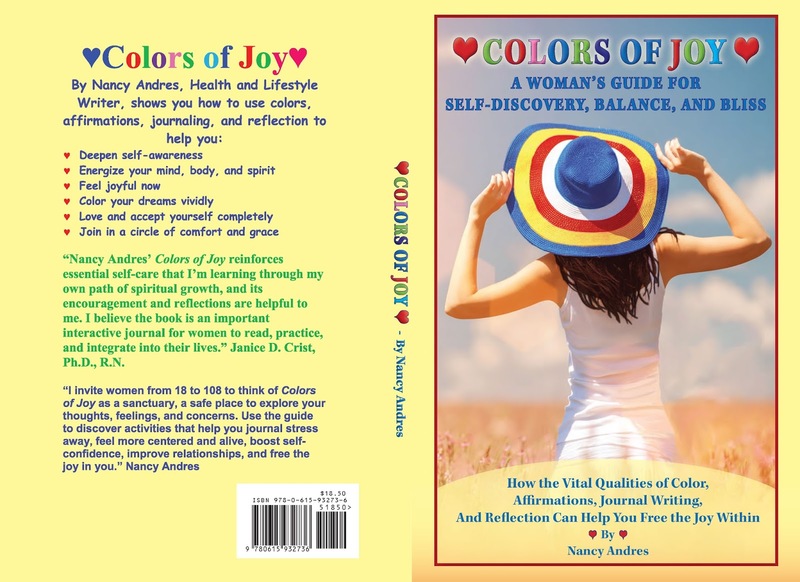 If you are willing to enhance your life, order it right now by clicking on the link to My Website or ordering it at Amazon Books.